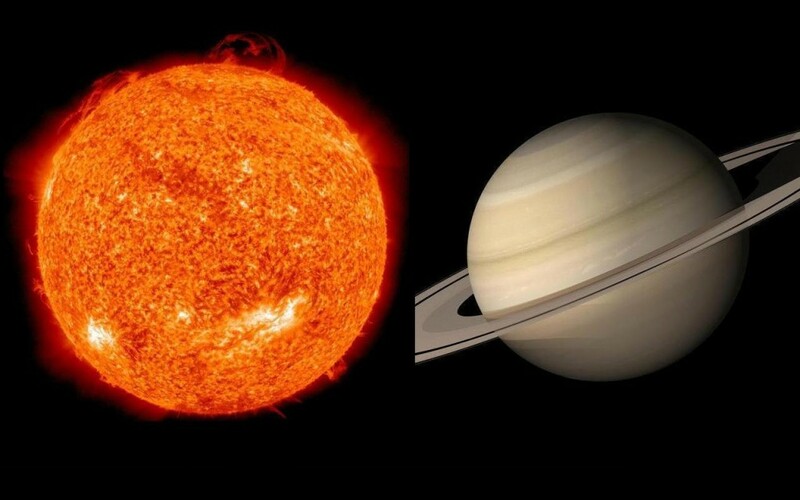 Sun is the king of planets and factor of light in the world. Shani is the servant of planets and relates with coincidence. Therefore, the combination of light and darkness gives diversity results. Sun is the father of Shani and Shani have enemy spirit with Sun. Therefore, this combination is father-son and enmity. This combination directly impacts on relations of father-son, marital life, health and fame-prestige. Father-Son: This combination is not good for father and son. This creates many problems if it is in one house. If Shani is weak then there would be conceptual difference. There might be separation. If Shani is sets then there would be problem of life. In this case, offer water mixing sesame to Sun. Light mustard oil lamp under peeple tree one every Saturday. Chant Dashrath Krut Shani Strot. Marital Life: The combination of Sun-Shani weakens the spouse relations. A person suffers from each other. If Sun is very strong then one does beating and violence. If Shani is very strong then there would be separation after conflict. In this case, light ghee’s lamp under basil plant. Chant “Namah Shivay” for 108 times in morning-evening. Donate wheat and jaggery on every Sunday. Health: The combination of Sun-Shani creates bones, nervous system and eyes problem. Sometime, one faces blood or heart problems. This problem stays for long time. In this case, use wheat or jaggery in your meal. Wear copper ring in ring finger. Chant “Om Hom Juhu Saha” on every morning. Fame: Good Sun gives fame and prestige. It also increases respect. However, one gets defamation if Sun is affected by Shani. A person involves in unnecessary issues without reason. They face defamation. Sometime, they go in prison. In this case, offer water mixing rolli to the Sun. Chant “Aaditya Hriday Strot” in front of Sun. Donate jaggery on Sunday and black sesame on Saturday. Avoid alcohol. Good Luck: Offer water to the Sun only when it is visible. Do not offer water if it is not visible.